Le secret de Laurence (2018) – JULIEN.LEVEQUE. It’s the year of 2009, at 14rue du Maine in Paris, in the apartment of a woman named Laurence. The main character isn't athome. Equipped with Polaroid cameras, guests were invited to examine herapartment thoroughly and photograph any relevant evidence in order to discoverLaurence's secret. Signs of a struggle, a suspicious red stain on the carpet, ablood-stained toothbrush, coffee beans in her handbag.... What happened here? 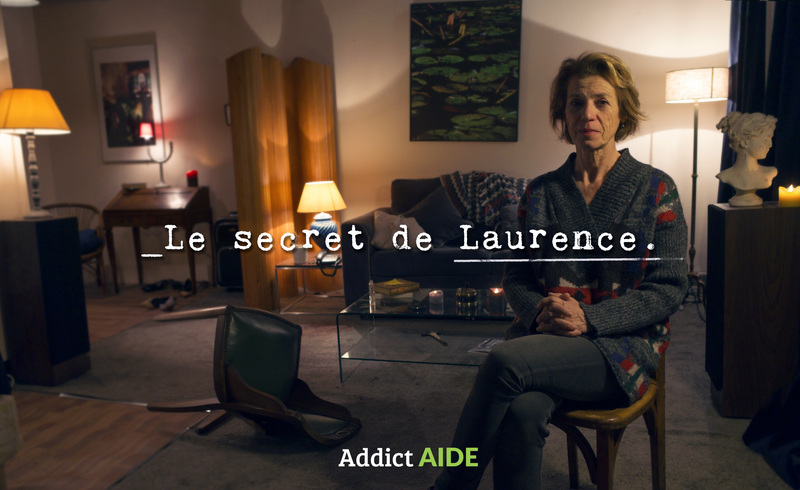 During a month, BETC and Addict Aide invited over 7000 people to comeand visit a reconstruction of Laurence’s apartment, follow clues and try todiscover her secret, thanks to an Escape Game concept. No, Laurence is not a murderess, a KGB agent or a vampire. BecauseLaurence is not a fictional character. The truth is something quite different,yet just as troubling. In 2009, Laurence Cottet was a wealthy woman who had agood career with a senior position in a large French company. In 2016, the "Louise Delage:like my addiction" marketing operation publicized the platformaddictaide.fr, an internet portal which centralises support resources foraddicts. Once again, AddictAide, its agency BETC and the production studio FrancineFramboise tacklesthe taboo of alcoholism in women, by demonstrating through aone-of-a-kind immersive experience that it's difficult to spot the signs of alcoholismin someone close to us. Unlike the story of Louise Delage, a fictional character created tohighlight a case of social yet photogenic alcoholism, Laurence's story is true.She invites us behind the scenes of her life and tells us her story: herstruggle in everyday life as a chronic alcoholic woman, embodied in her formerapartment, which has been carefully reconstructed with her own furniture andclothing from the time. Laurence has now recovered and with Addict Aide she wants to bring ahopeful message: alcoholism is neither a weakness nor an inevitability, it is adisease that can be treated, for those that are ready to accept that they needhelp.